Addressing Lansing reporters for the first time since MIRS reported that Rep. Gretchen DRISKELL (D-Saline) was misidentifying herself in public as a real estate broker, Driskell said "nobody knows the difference" between a real estate agent and a broker. 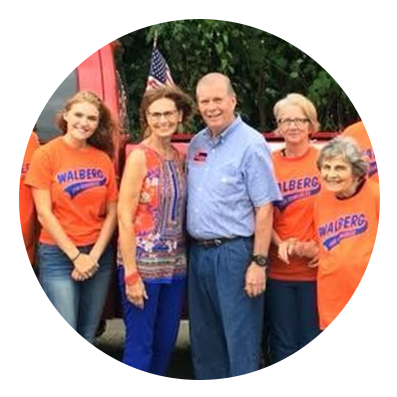 Driskell, who is running against incumbent U.S. Rep. Tim WALBERG (R-Tipton) in the 7th Congressional District, is a registered real estate agent, but a broker is someone who goes through special training to finalize all land transactions for his or her agents (See "Driskell Mistakenly Advertised Herself As Broker Multiple Times," 6/17/16). Driskell told MIRS she "made a mistake" identifying herself as a broker in committee testimony, but that the state's commercial property website blends the agent-broker line in it's database, leading to some confusion. A broker is the equivalent of a manager in the real estate business. In Michigan, any real estate agent must operate under someone with a broker's license. To operate professionally as a broker without the appropriate license is punishable by state fines up to $10,000 and the possible revocation of one's membership with the National Association of Realtors, of which Driskell is a member. Driskell told MIRS that on a national level, the terms real estate "agent" and "broker" are "interchangeable." But Shawn HUSTON, former chair of the Board of Real Estate Brokers and Salespersons, disagreed, saying that only one state in the country does not clearly distinguish between agent and broker. Huston likened the agent-broker relationship to the relationship between an employee and a manager. "Especially here in Michigan, as a salesperson you can't own your own company," Huston said. "You have to work under a broker." "In my opinion, it's more that you got caught saying something inaccurate or you're not informed enough to know the difference, which would surprise me in [Driskell's] case," Huston said. Read the original MIRS News artircle here, listen to Driskell continue to misrepresent the facts in a WILS interview.